Look at mean download speeds globally and the UK’s status is even worse. Here, we are ranked 35th in the world with a speed of 18.57 mbps, behind Slovenia (21.41 mbps), Madagascar (24.87 mbps), and well below global leader Singapore at 60 mbps. So what impact are these slow broadband speeds having on the UK? Slow broadband speeds don’t just affect peoples’ ability download files or stream video, this also has wide-ranging and deep impacts on the country’s performance as a whole, particularly its economic performance. The speed of broadband available affects the country’s ability to attract investment and to encourage businesses to set up shop in the UK. For example, the UK is currently seeking to position itself as a world center for Fintech, which means attracting startups in the sector to use the UK as their base. However, these startups and associated businesses could be put off by slow broadband speeds, and decide to set up elsewhere instead. It is not just specific, technological industries which rely on fast broadband. Essentially every sector these days needs the internet in order to do business, and being cursed with slower speeds could mean that UK businesses are at a disadvantage compared to their competitors in other countries. Productivity across UK businesses in general is also harmed by slower connection speeds, and lost productivity could cost the UK economy significantly in the long run. The UK government has pledged to deliver fast internet to more homes and businesses in the UK, which would greatly improve the UK’s status when it comes to fast broadband. The fastest download speeds need fibre optic cables, which in the UK are delivered as part of the FTTP (“fibre to the premises”) network. 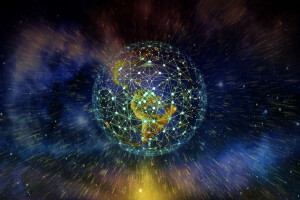 Presently, only 560,000 buildings are connected to FTTP, but the UK government says it will increase this to three million homes and businesses by 2020, as part of upgrades being rolled out by British Telecom and its subsidiary Openreach. This will go a long way to improve broadband speeds in the UK, but will it be enough to keep up with the rest of the world? Some commentators are arguing for a more drastic solution that goes further than simply fibre optic cables. It could be that an entire overhaul of the UK’s digital system is required, including a completely new digital grid which includes a network of towers and cables, backed up with the latest technology. It is also important that new plans are pushed forward quickly: technology moves so fast these days that improvements need to be enacted equally quickly before they become obsolete.